According to industry anti-phishing consortium APWG, during the first half of 2009, phishing attacks hit an all-time high and malware attacks jumped an astronomical 585%. While brand-based phishing and malware attacks continue to grow in number, sophistication and method, financial institutions of every size remain prime targets. Today, brand-based attacks are mounted with a steadily increasing level of sophistication from rock phish and spear phishing to fast-flux attacks, malware and more. They are also distributed through a growing number of mechanisms or channels, including social media. In addition to the now-familiar email inbox attacks, financial institutions need to monitor search engines, blogs and social networking sites for links that divert consumers to fraudulent sites. These attacks pose a significant threat to customer identity theft, which in turn stalls the adoption of online transactions. Meanwhile, brand reputation and consumer trust suffer. Fortunately, financial companies can protect their brands, revenues and customers by taking proactive, holistic action against the fraudsters and scammers. MarkMonitor® can help. 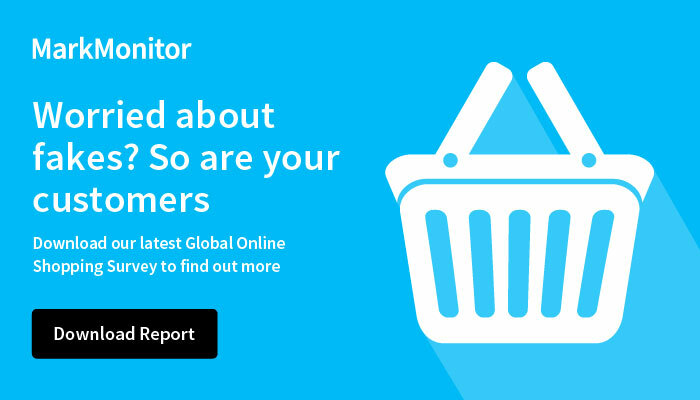 One of the world's largest financial services organizations fights phishing and malware attacks, cybersquatting and false association with its numerous brands online using MarkMonitor Brand Protection™, Domain Management and MarkMonitor AntiFraud™. Enforcement against fraud—plus global domain management—bolsters customer trust, limits liability and shrinks portfolio management costs.